It’s that time again! Where we put back on our hiking boots and truck through those hilly muddy terranes. 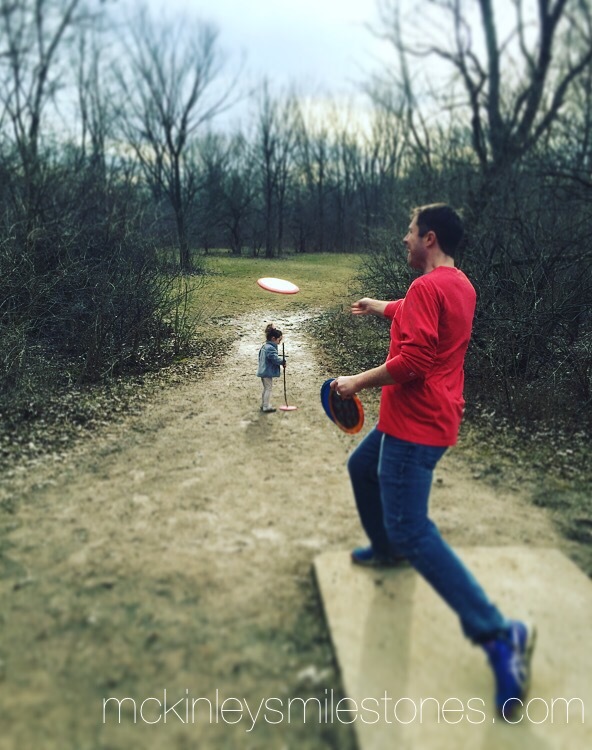 Throwing discs. And hearing that familiar clinking sound when our dics fly (hopefully gracefully) into the baskets. 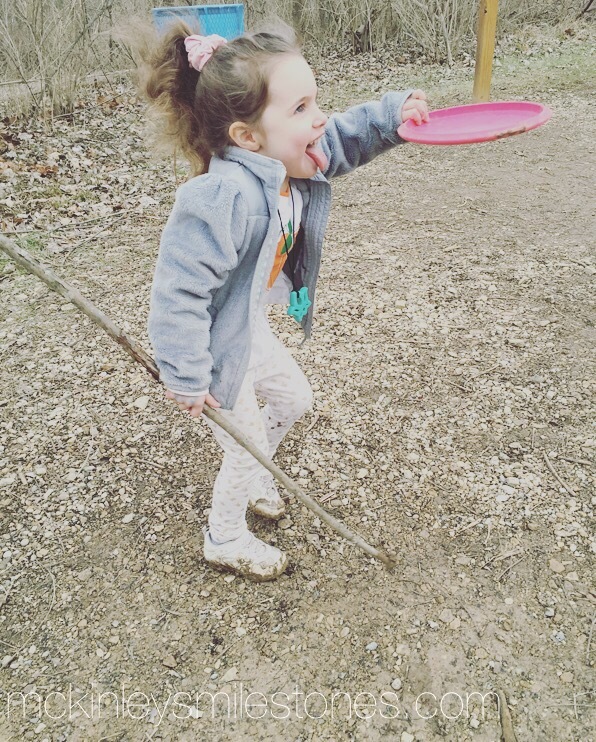 We just love playing discgolf. Even if we only manage to get through 7 holes, because McKinley has to use the restroom and Cora is covered in mud. It’s our family tradition. 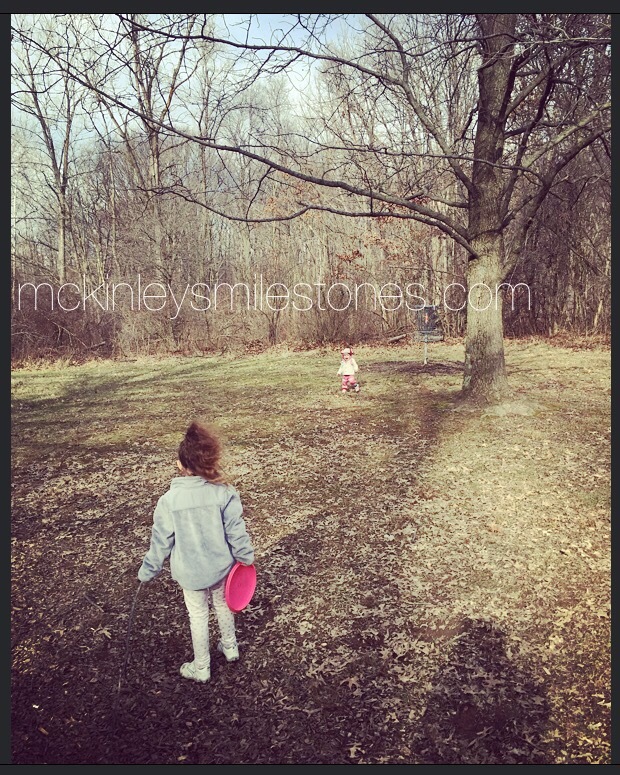 It was Coras first time being able to walk with us and carry a disc. 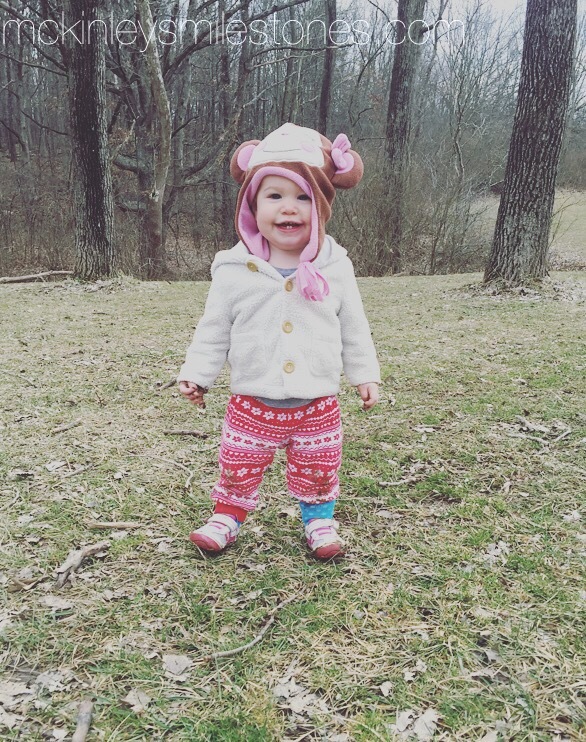 I’m happy to report she shares our enthusiasm! Anyone else feeling like it’s already spring? I’ve brought up all my yellow pillows and spring decor from the basement. Which is risky. Especially living in Ohio. Let’s get real–it might very well snow 5 inches tomorrow, but for now– getting muddy and soaking up the sunshine just feels right. 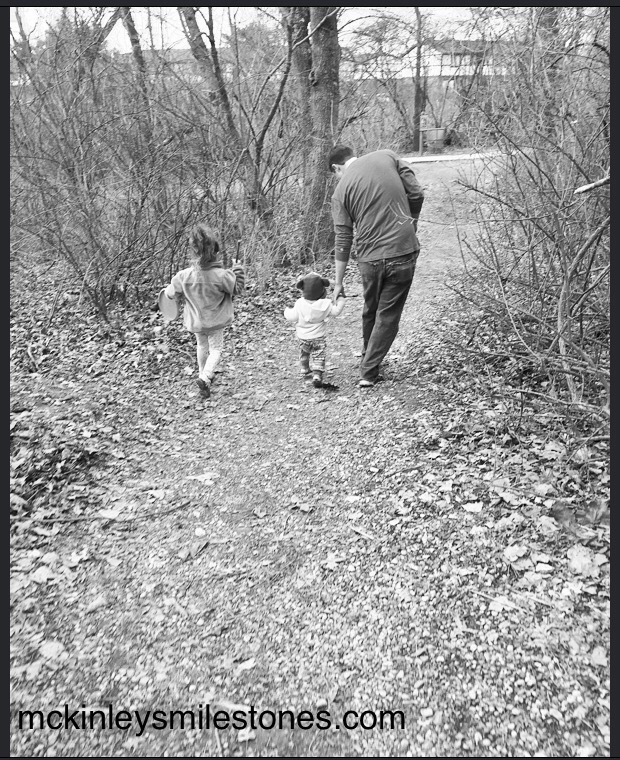 I love these pictures- I think for mother’s day I need some cups or a book of pictures…what say you? ?